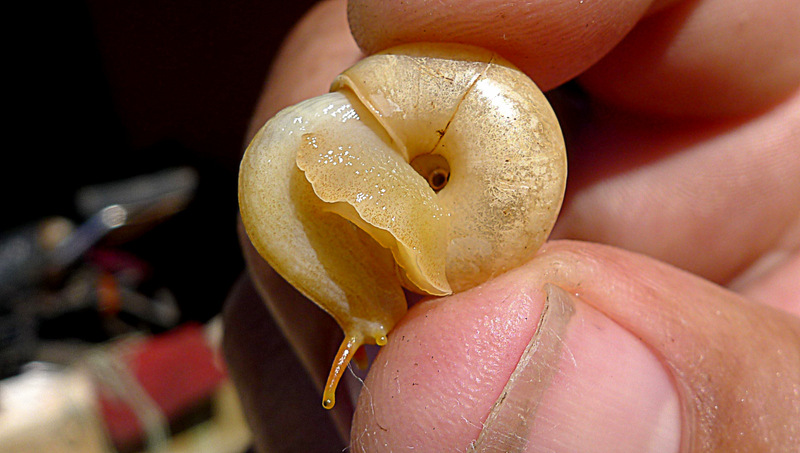 A new paper on Brazilian streptaxids reveals two new species. The abstract reads: “A large collection of mollusks was recently acquired by the Museu de Zoologia da Universidade de São Paulo (Brazil) from a commercial company. In this collection, the specimens of the family Streptaxidae from Brazil are both diverse and relatively abundant and are examined here. Herein are reported new records of 11 species, greatly extending the geographical range of the following: Rectartemon depressus (Heynemann, 1868), R. iguapensis (Pilsbry, 1930), R. piquetensis (Pilsbry, 1930) and Streptartemon extraneus (Haas, 1955). Additionally, two new species are described: Streptaxis leirae sp. 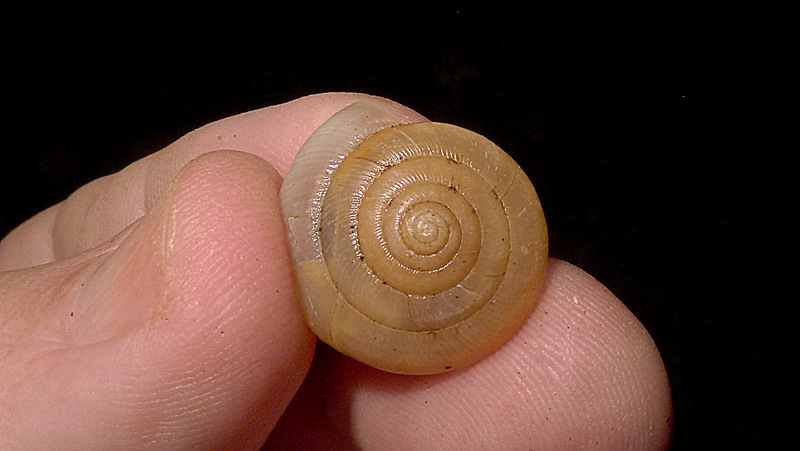 nov. and Streptaxis megahelix sp. nov.”. Salvador, R.B., 2018. 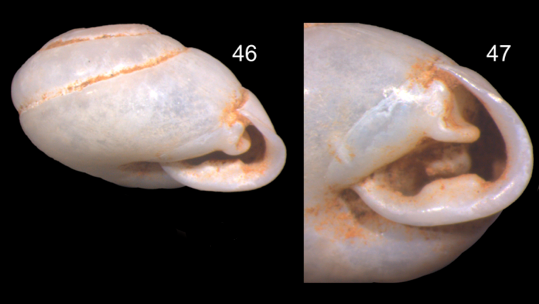 Notes on a new collection of Streptaxidae (Gastropoda: Stylommatophora) from Brazil, with descriptions of two new species of Streptaxis. – Integrative Systematics, 1: 25-33. This entry was posted in Uncategorized and tagged brazil, literature, streptaxidae, types on January 3, 2019 by bramb. 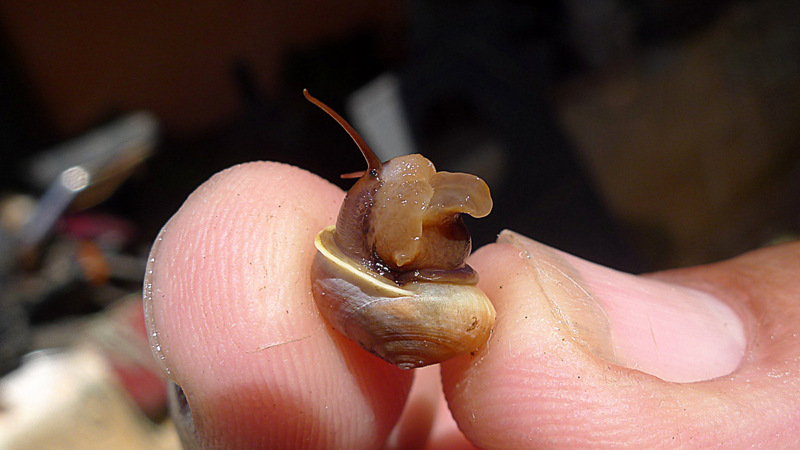 Alex Popovkin sent me some photographs of a snail collected by him in the Atlantic Forest, northern littoral of Bahia, Brazil. Although this might look weird to those who think Streptaxidae always have dentition in the aperture, these pictures mostly resemble Streptaxis costulatus (Pfeiffer, 1852). This entry was posted in Uncategorized and tagged brazil, streptaxidae on June 20, 2014 by bramb. Earlier in 2013 Simone & Casati published a paper on a series of shells from a relatively unknown region in Brazil, the Serra da Capivara. The abstract is: “Five new species and one new genus are described from the Serra da Capivara, Piauí, Brazil, a region of semi-dry, Caatinga environment. 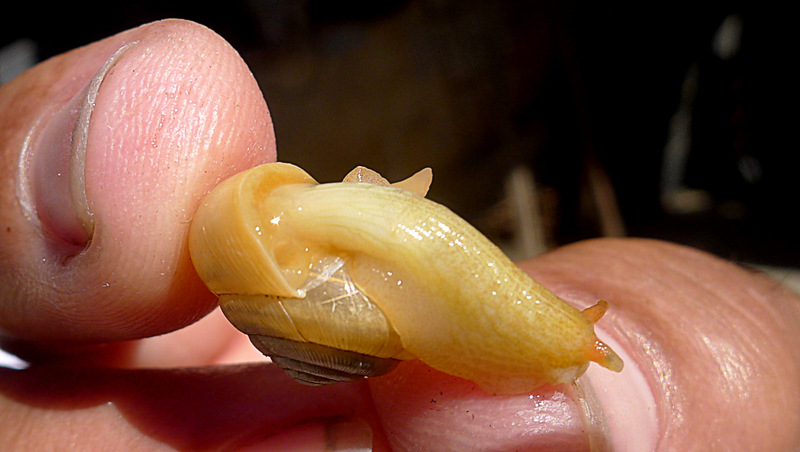 The described taxa are: Odontostomidae: 1) Clinispira insolita, n. gen. n. 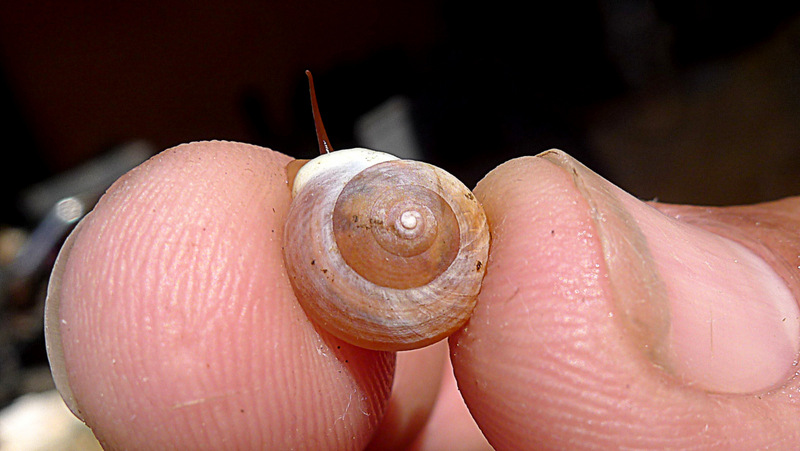 sp., possessing strange spire inclination and aperture approaching to the shell apex, it looks closely related to Anostoma, Tomigerus and Biotocus; 2) Cyclodontina capivara n. sp., with well-developed axial ribs and 6 teeth at peristome; 3) Anctus prolatus n. 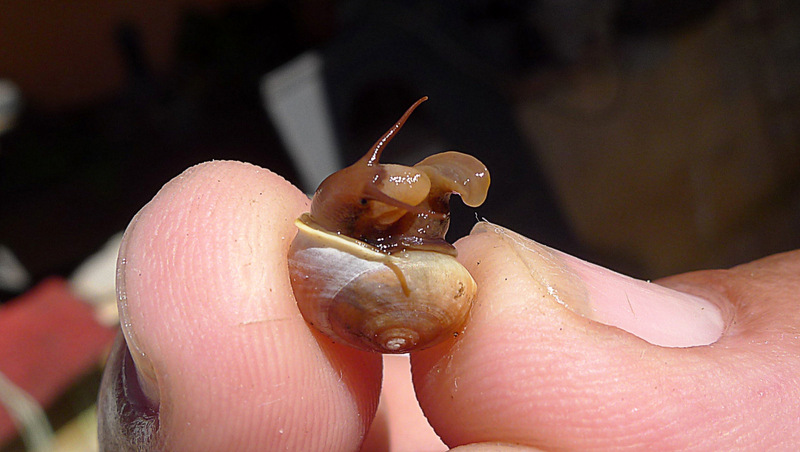 sp., very elongated, with aperture lacking teeth; Simpulopsidae: 4) Rhinus gilbertus n. 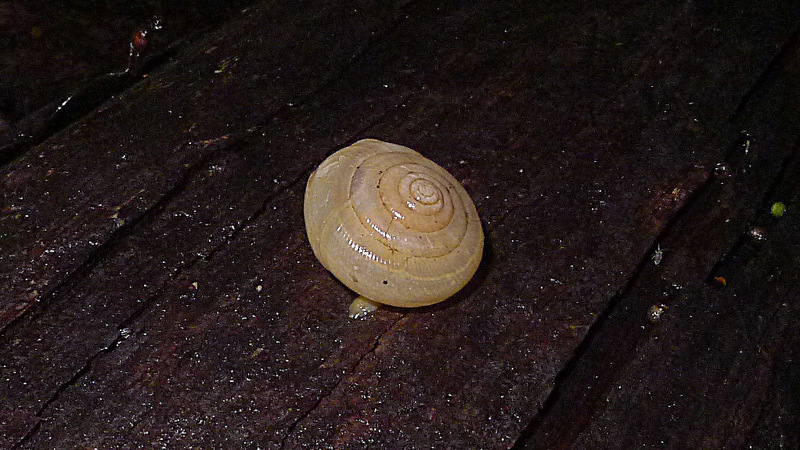 sp., somewhat elongated and relatively well-sculptured; Streptaxidae: 5) Streptartemon molaris n. 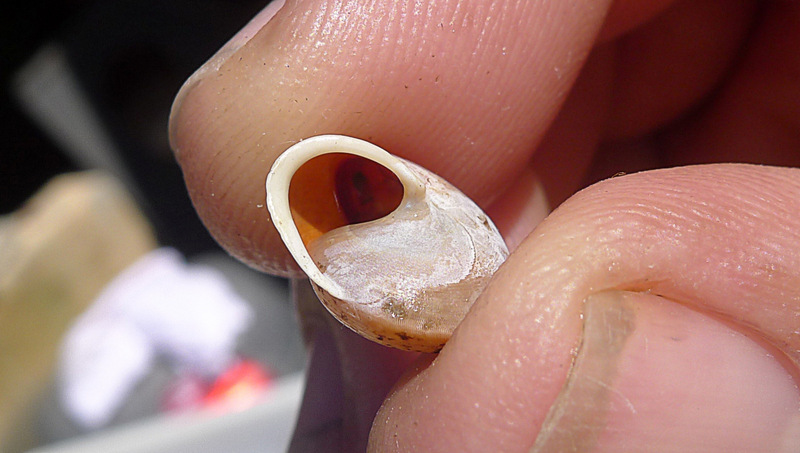 sp., possessing a very large basalis tooth at peristome. 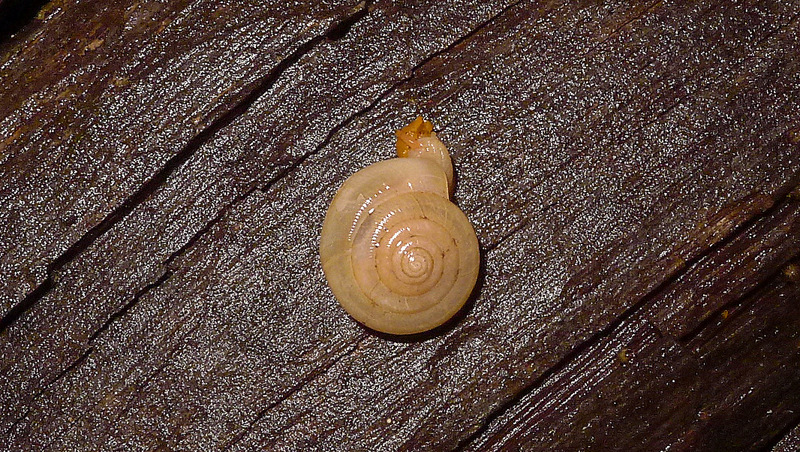 Two subulinids are also reported from the region: 6) Beckianum beckianum (Pfeiffer, 1846), a population with peculiar pointed shell apex and well-developed axial sculpture; 7) Lamellaxis cf. 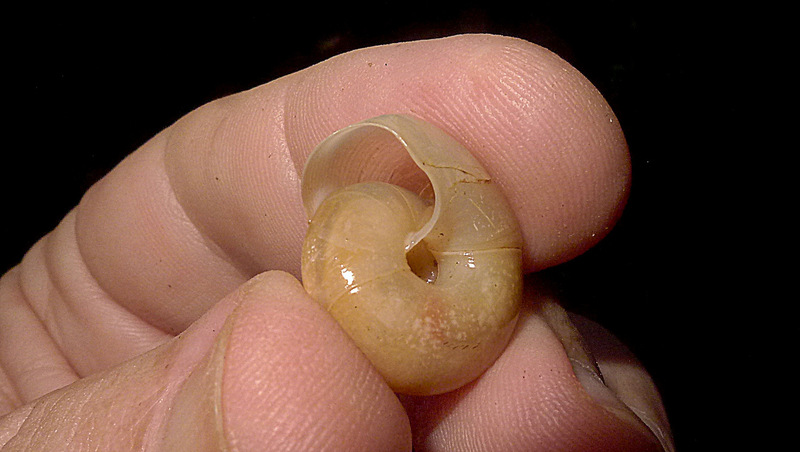 gracilis (Hutton, 1834), a wide-ranged species that merits further investigation. 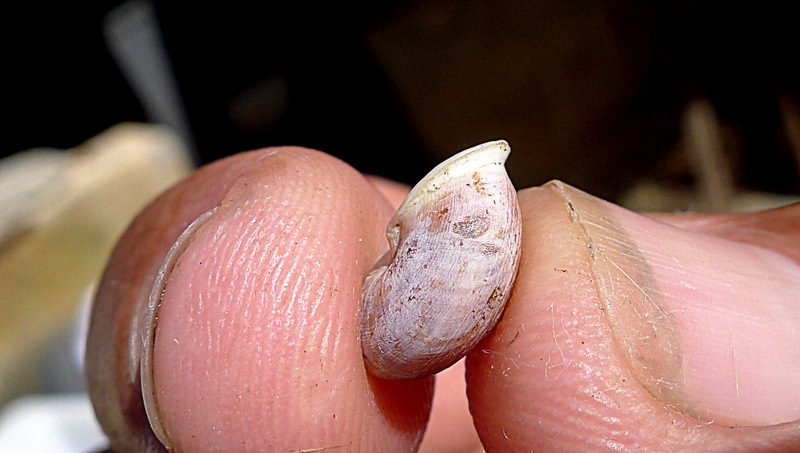 These descriptions show how scanty is our knowledge on northeast Brazilian malacofauna and may raise efforts for its preservation.” All material comes from the same locality, Cave Toca de Cima dos Pilão, Coronel José Dias municipality. 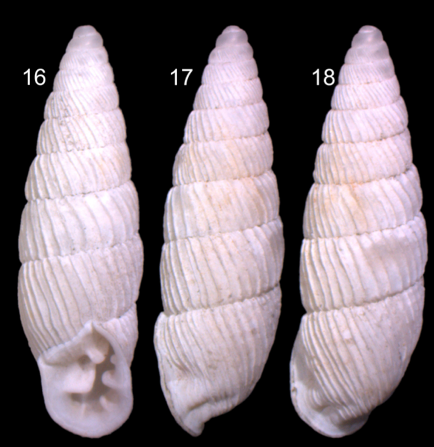 Clinispira insolita n. gen. n. sp. The new, monotypic genus Clinispira is especially noteworthy, and maybe other species may turn up once this region is better investigated. The study of living specimens should clarify the relationships of the new taxa described by morphological and molecular studies. Simone, L.R.L. & Casati, R. (2013). 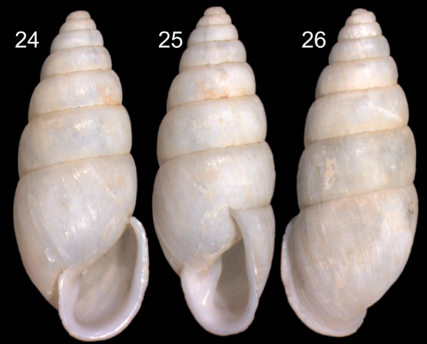 New land mollusk fauna from Serra da Capivara, Piauí, Brazil, with a new genus and five new species (Gastropoda: Orthalicoidea, Streptaxidae, Subulinidae). 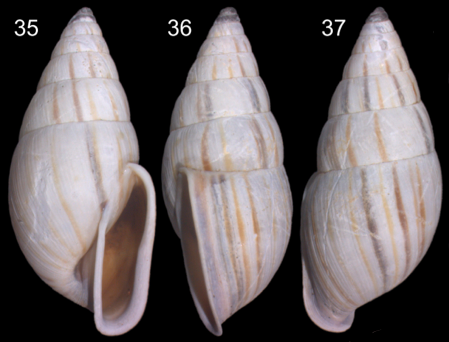 – Zootaxa 3683: 145–158. 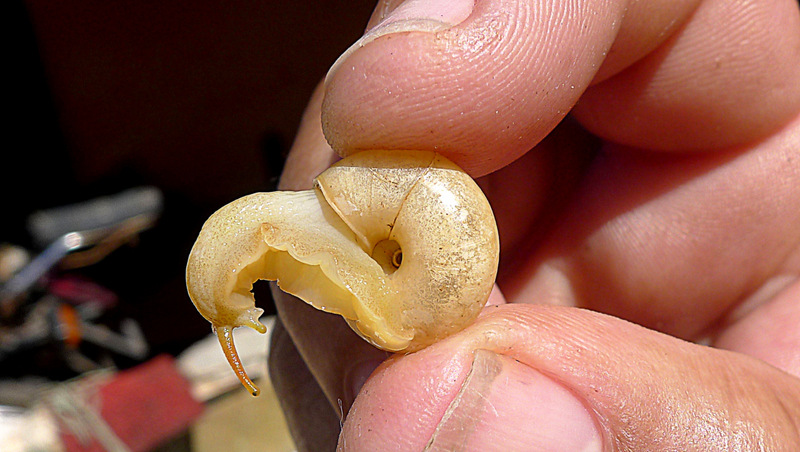 This entry was posted in Uncategorized and tagged brazil, literature, odontostomidae, simpulopsidae, streptaxidae, subulinidae, taxonomy, types on February 7, 2014 by bramb. 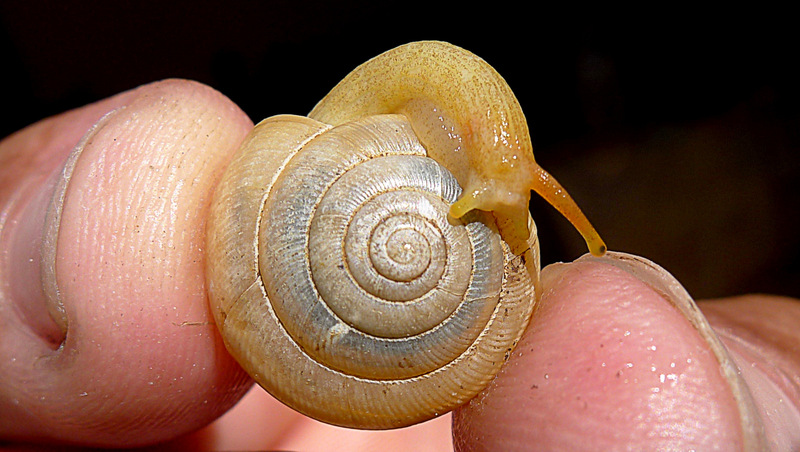 Photo of the day (143): Streptaxis ? Alex Popovkin, field botanist in northeastern Bahia, send me several pictures for identification. This entry was posted in Uncategorized and tagged brazil, streptaxidae on May 16, 2013 by bramb.